THE first of a range of new small-capacity BMWs, produced in collaboration with Indian firm TVS, will be launched in 2015, it has been confirmed. 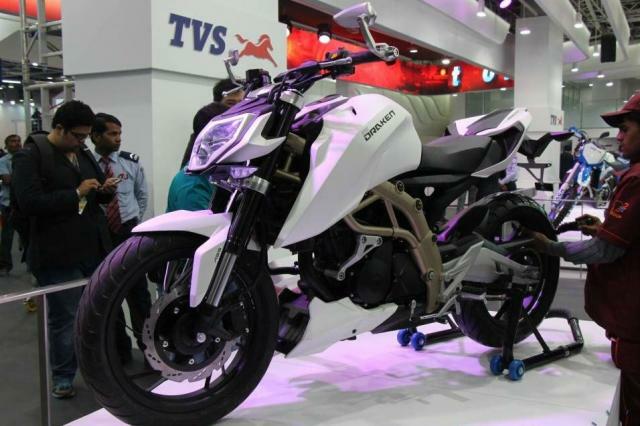 TVS Motor Company chairman Venu Srinivasan said the joint venture's first product would be launched in the second half of next year. It's thought to be a 300cc naked bike and is likely to go on sale in the UK badged as a BMW. It’s set to be the first in a range of sub-500cc models, built in India and sold in distinct BMW and TVS versions depending on the markets they’re going to. TVS’ current line-up consists predominantly of scooters and 125 commuters but in February the firm unveiled a naked single-cylinder 250 concept called the Draken, allegedly making 38.5hp and 17ft.lb. BMW's current lowest-capacity machine is the G650GS entry-level adventure bike, which has an engine built by Loncin in China.